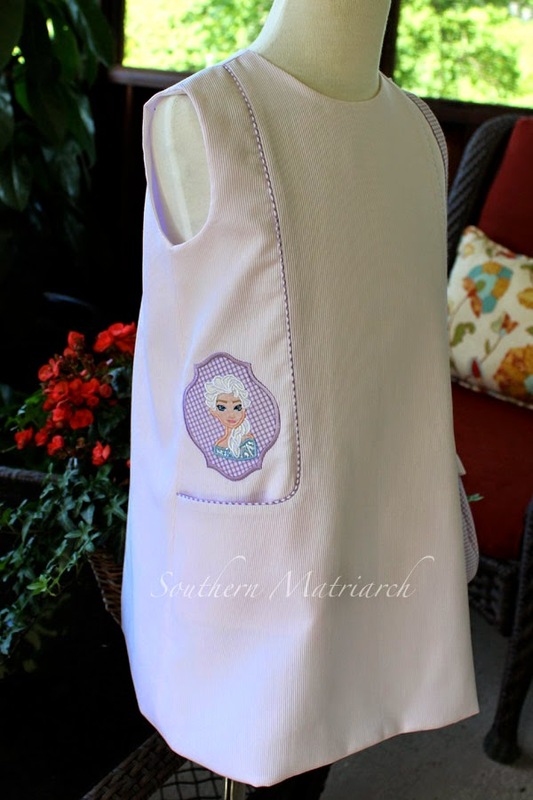 Southern Matriarch: Let It Gooooooo! I used an old Children's Corner pattern called "Tracey". I believe it is discontinued, but I found a copy here. If you google, you may find it other places as well. I don't remember purchasing this pattern, a trend I know, but I think I like it. It goes together quickly and I thought I could unobtrusively embroider the characters on it. I placed the characters on medallions that match the piping. The fabric? Oh geez louise, was this a Mimi moment. I THOUGHT I grabbed the leftovers from the bishop featured here. Notice I said, THOUGHT. After I had it cut out and half embroidered I noticed another large chunk of a darker pink pique in the closet. Come to find out, this &*^% *Freezing dress is made from SWISS pique. SWISS! I nearly croaked. Oh well. The only saving grace is, there is still quite a large bit left to make something a little dressier and more befitting of Swiss pique. 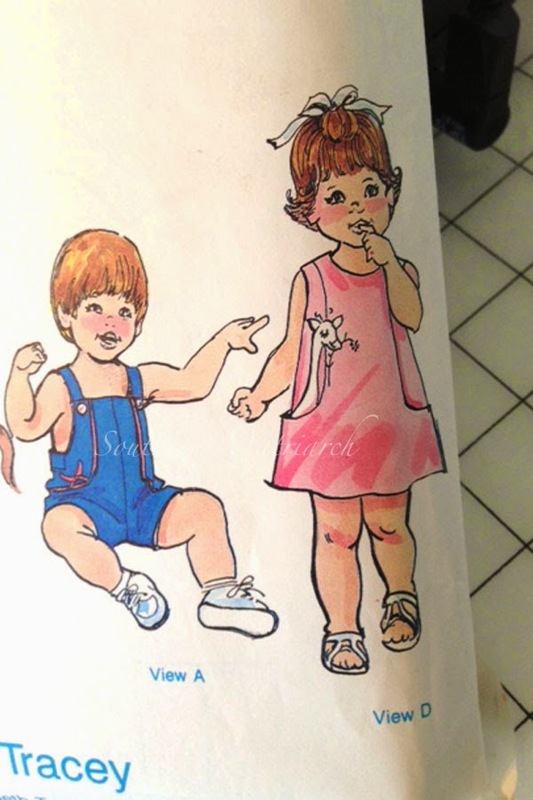 The machine embroidery designs were found on Etsy. Do a google search and you will find them and others. Don't want to link because of those copyright police that may be lurking. I resisted the urge to pipe the armholes and neckline, but I did pipe the back closure and used covered buttons. If I am making a Freezing dress, at least it will be as classy as possible. The purse? Yes, I have officially LOST MY MIND! Princess spotted that the embroidery designs also included "*Olaf*, I had no intention of adding him. 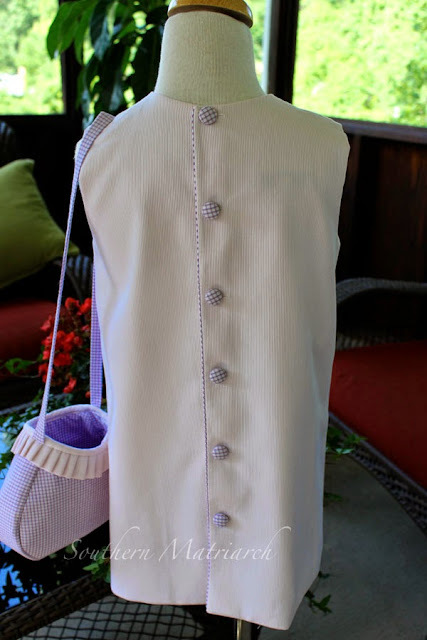 Well she would not be swayed, so I found a FREE tutorial on Moda's blog, Moda Bakeshop called Ruby's Party Bag. It went together quick and my Mimi card is punched for quite some time. So if you have a four year old in your life, it can be done with a minimum of glitter. And shoot you can even make it from the finest of fabrics. Now, just in case you haven't heard the anthem of my people, here is an interesting version. This little girl has some pipes! Glad that Mimi card is punched for awhile! She must be thrilled! I am probably one of the few inhabitants of this earth that has not seen the movie, but I have certainly heard and seen all related items everywhere I go! Now I'm going to be singing that song all day! I can see why she loves it! Did you hide any goodies in that adorable purse? I've not seen the movie either, since I don't have any little ones around. May have to just watch it by myself to see what all the hoopla is about! You did a fantastic job on the dress and purse. She will be the envy of all little girls (and their parents)! Wow !!! You scored a lot of Mimi points with that ensemble. 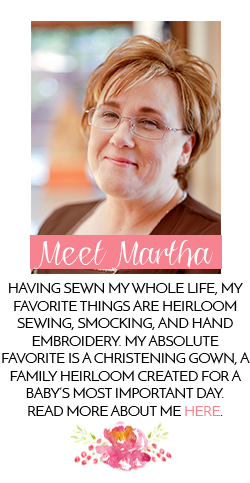 Martha, I love everything you do. If I EVER get those grandbabies, you are my role model! I thought you want to know there was a crazy pop up on your site today that ran for 30 seconds before it returned to the site. I have a granddaughter whose 5th birthday is Saturday. My version will have to be less detailed, but I love it. And I'm Mimi too! Thank you! Darling! What we sew for our grandchildren! Nope, never heard of it, but I'm learning from reading sewing blogs! The dress is just too adorable, especially with the matching purse. 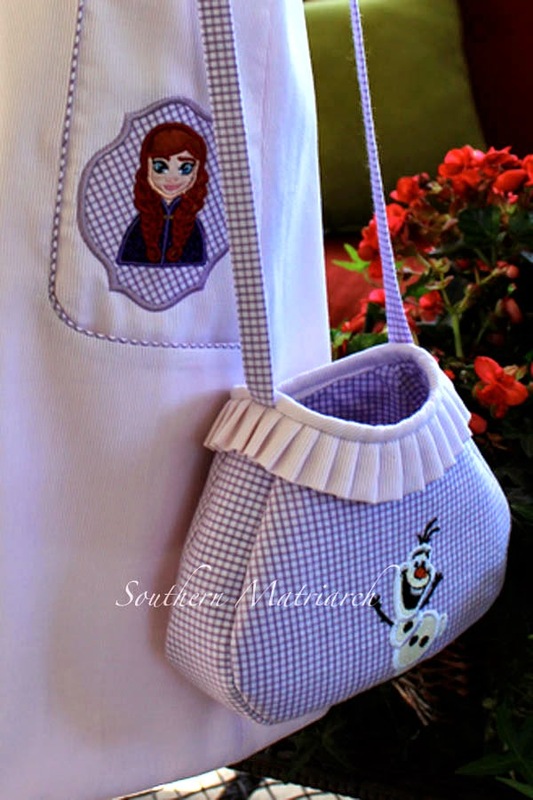 You do a great job of integrating machine embroidery with fine sewing. That is just adorable! You definitely get some big points for these! !